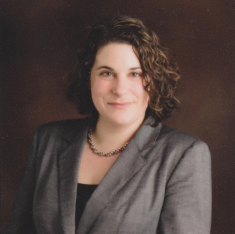 Last month, Ruth Botstein argued Alaska’s case at the Supreme Court. This month she was fired. The administration of newly-elected Republican Gov. 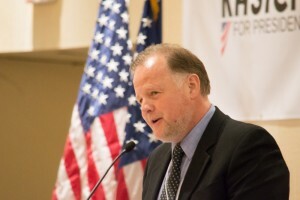 Mike Dunleavy has taken the unusual step of firing two prominent attorneys at the Alaska Department of Law, including one who represented the state before the U.S. Supreme Court last month. It’s typical for incoming governors to clean house at the highest levels of state agencies. But it’s rare for a new administration to dismiss attorneys at the state law department, even though those attorneys lack union protections – and the move has raised questions about the motivation for the firings that remain unanswered. One of the fired lawyers is Libby Bakalar, a state elections attorney who, in a since-deleted tweet, attributed her dismissal to her liberal advocacy and her criticism of President Donald Trump. Bakalar publishes a personal blog, One Hot Mess, that she uses to skewer the president and other right-wing political figures, and she’s spoken at rallies and traveled to Washington, D.C. this year to oppose the Supreme Court nomination of Brett Kavanaugh. “It’s painful to be forced to ‘resign’ from a job for no apparent reason other than I dislike Trump and care about social justice, and frequently say so on my own time, just like [the First Amendment] allows,” Bakalar wrote. The other fired attorney is Ruth Botstein, who argued for the state in the U.S. Supreme Court last month in a lawsuit originally brought by John Sturgeon. Sturgeon is a moose hunter, timber harvester and hunting advocate who’s challenging the federal government’s authority to manage navigable waterways in national preserves. And his case has become a celebrated cause for conservative Alaska politicians, including Dunleavy. The state has supported Sturgeon’s lawsuit, and Botstein’s appearance in the Supreme Court last month was to argue on Sturgeon’s behalf. A month later, Botstein was fired. The move baffled people in Alaska’s legal world, and Sturgeon said he’s confused, too. The three-sentence email notifying Botstein of her firing, from then-Acting Attorney General Ed Sniffen, didn’t specify why she was dismissed. It was sent at 12:20 p.m. December 3, less than an hour after Dunleavy was sworn in and two days before he named Kevin Clarkson as his attorney general. Botstein and Bakalar declined to comment. The two attorneys were part of a broader group of state workers dismissed when Dunleavy succeeded Bill Walker, an independent. It’s standard for incoming administrations to request resignations from agency heads, top deputies and other policymaking staff in politically appointed jobs. Bill Walker has said that in 2014 he asked for resignations from about 250 of the state’s 15,000 workers, and retained “many” of them. Dunleavy asked about 800 people to offer their resignations, including many in positions that are technically appointed but traditionally seen as non-political, like petroleum geologists, psychiatrists, actuaries and low-level prosecutors. Employees who wanted to keep their jobs were instructed to make their resignations contingent on acceptance by the new administration. Tuckerman Babcock, Dunleavy’s chief of staff, said at the time that the new administration was not planning widespread layoffs. Instead, he said, Dunleavy wanted to make sure state employees were committed to his agenda. 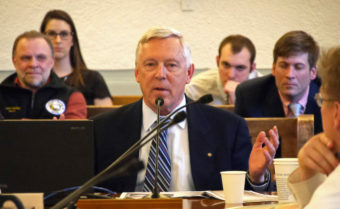 Some state workers, however, saw the request as an effort to extract a partisan loyalty pledge – particularly given that Babcock’s previous position was chair of the Alaska Republican Party. “The state of Alaska hired me for my expertise, not my political allegiance,” Anthony Blanford, the director of psychiatry at the Alaska Psychiatric Institute, wrote in a letter to the Anchorage Daily News. Anecdotal accounts have emerged like the firings of the two attorneys, as well as Blanford and another psychiatrist at the Alaska Psychiatric Institute who refused to offer a resignation. But Dunleavy officials have declined to specify the total number of state workers dismissed. Dunleavy spokesman Jeff Turner said Thursday that a reporter would have to file a public records request to find out. Bakalar, who’s not registered with a political party, had become a target of Alaska conservatives amid her involvement in contentious, election-related cases — though her recent legal work required her to take positions that clashed with both liberal and conservative candidates and causes. Bakalar, who earned $120,000 a year, assisted with the state’s defense of election workers’ conduct in a disputed 2016 state House race in northern Alaska. And she also drafted the Walker administration’s legal justification for initially rejecting, on constitutional grounds, a proposed initiative to protect salmon habitat. 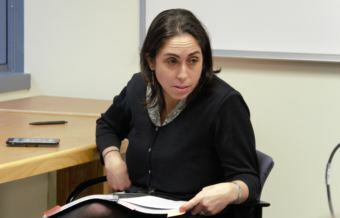 Her work drew praise from supervisors, including one who wrote in a performance evaluation that Bakalar did a “splendid” job on elections issues, according to a copy of Bakalar’s personnel file that she released to a reporter. Palmer attorney Nancy Driscoll Stroup has been criticizing Bakalar’s blog for two years, and Stroup said she filled out a form on Dunleavy’s website suggesting that his transition team “carefully vet” attorneys in three specific sections of the Department of Law that handle politically sensitive cases — including the sections where Botstein and Bakalar worked. Stroup said no one from the Dunleavy administration contacted her about her note. She also said she did not complain about Botstein specifically. The firing of Botstein, who’s also not registered with a political party, has been more perplexing to observers. Her peers gave her good marks when she applied for a recent seat on the Alaska Supreme Court; her overall rating of 3.8 on a survey of attorneys who’d worked with her was a full point higher than the rating for Clarkson, Dunleavy’s attorney general. Botstein, who earned $130,000 a year, posted a barrage of anti-Trump tweets the month Trump was inaugurated. But she has only used her Twitter account once in the past year and has just 15 followers. One theory is that her work on politically delicate Sturgeon case somehow made her a target of the Alaska Outdoor Council. That’s the powerful hunting and fishing advocacy group that’s supported Sturgeon’s lawsuit along with the state, but clashed with the Walker administration on the best way to defuse broader conflicts over state and federal land management. But Sturgeon, a vice president of the council, said that theory is wrong.